The North Platte River is one of Colorado’s last remaining free-flowing white water rivers and offers up remote wilderness scenery and a great combination of fast-paced rapids and mild water. Crowds are non-existent on this gem of a river, making wildlife viewings frequent and the feeling of isolation amplified. This river is an outstanding choice for early season rafting adventure. 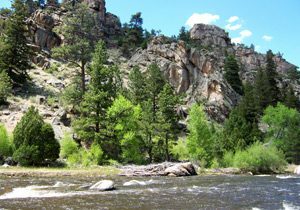 The North Platte River begins as a trickle in the mountains surrounding Walden, Colorado and flows north through the Northgate Wilderness Area. The North Platte is one of Colorado’s best-kept secrets and one of Colorado’s only remaining free-flowing white water rivers. This white water gem combines untracked wilderness with an abundance of Colorado’s finest rapids to deliver an outstanding early season adventure. The canyon begins near the border of Colorado and Wyoming where the river spills from its source in North Park. Completely inaccessible, the “gate” of Northgate Canyon stymied French trappers in their upstream efforts to reach North Park. The French Trappers named the North Platte ‘Riviere de Plat’, meaning “Flat River”. That name characterizes much of the rivers 618 mile course before joining the South Platte River in Nebraska. Early travelers on the Oregon Trail followed it to near the present day town of Casper, Wyoming. They considered it too shallow to float, too deep to ford, and too wide to bridge. This river would have surprised those pioneers had they followed it into the mountains. It is here, deep in the Medicine Bow Mountains, that we will float the river as it is turned on edge. 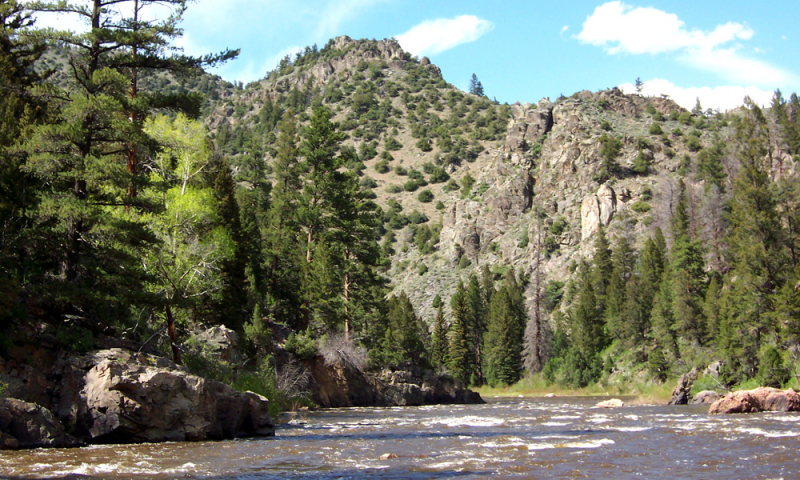 The North Platte is located west of Fort Collins and east of Steamboat Springs near Walden, Colorado. It is also within easy driving distance of Laramie, Wyoming. Paddle fast-paced rapids and take in the rugged remote scenery of the North Platte River on this full day adventure. 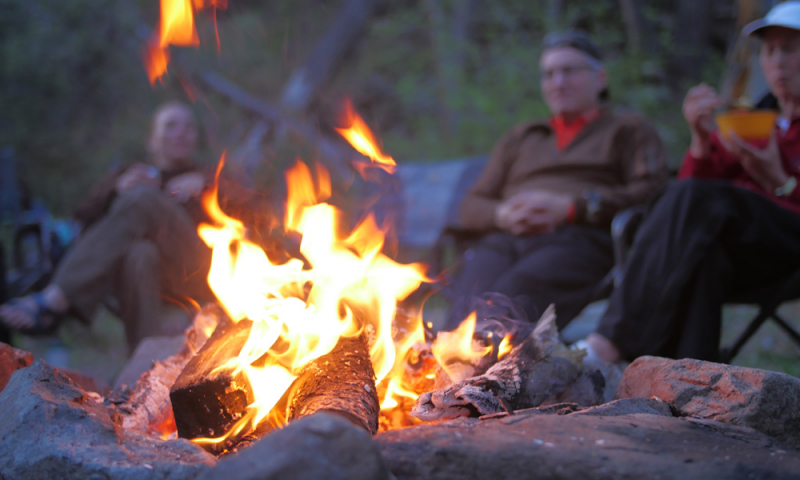 Depart near Walden, CO close to the CO/WY border and tackle ten miles of fantastic whitewater. Suitable for those ages 10+ and all skill levels, raft from late May-June. Join us on this wonderful adventure into the wilderness! The fast-paced North Platte River runs wild and free as the high mountain snow melts in late May-June. Rarely visited and full of wildlife, you will raft the stunningly beautiful and isolated stretch of river from Colorado into Wyoming near Walden, CO. This 2 Day trip is suitable for all skill levels and kids ages 10+. 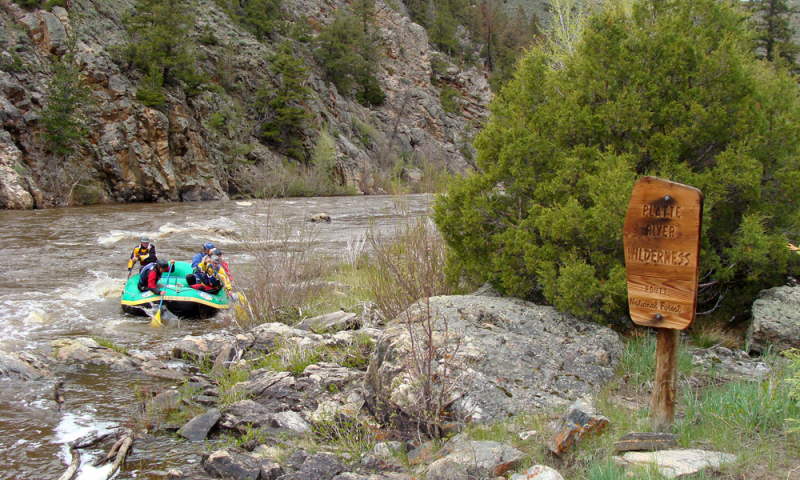 Fast-paced, fun and splashy rapids dot this remote wilderness section of the North Platte River. Peaceful and packed with abundant wildlife, this section of the North Platte makes for a wonderful float trip. The North Platte River is in the Medicine Bow-Routt National Forest and is managed by U.S. Forest Service. 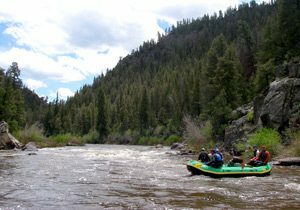 Permit Details: No fee of any kind is required to float the river within the National Forest on public lands. If shuttle service is available, information is listed under the specific section page. 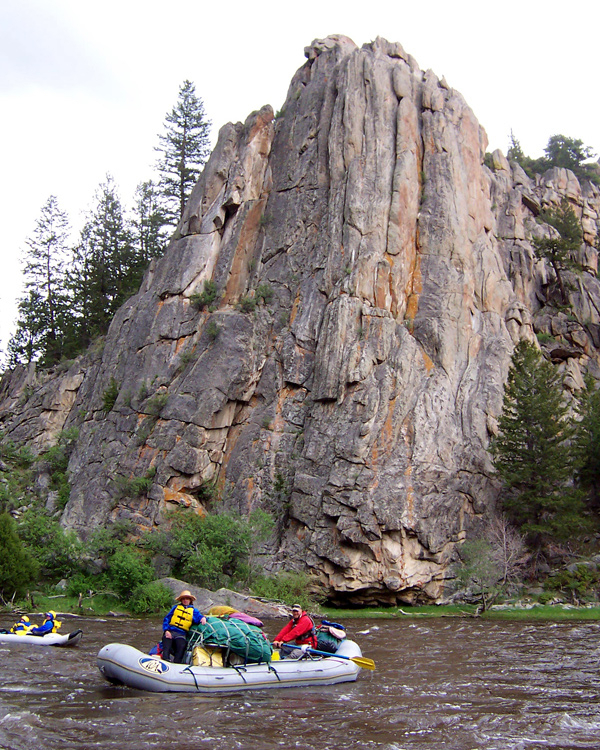 Our North Platte River trips meet at Routt Access area near Walden, CO. Complete lists of what to bring, what we provide, where to meet, policies, rental costs and info. Lydia filled us with confidence. She was skilled and knowledgeable and explained each set of rapids so we knew what to expect. She was great company and we had the best experience. She was brilliant. I cannot wait to come back! Also loved how funny all the guides were. It was the most I’ve seen my sister laugh in a long time! Thank you so much for this amazing experience. I spent several days researching various rafting options and after speaking w/your team was sold. We were not disappointed-the trip is spectacular and our guide Sean was informative, lively professional and entertaining.